Hathor III of Arendaal ("Hathor the Despot") (1735 - 1802) was the King of Arendaal between 1790 and 1800. He came to the throne when his niece, Helene I, was forced to abdicate after loosing the confidence of her Council and much of the nobility. Hathor's reign is remembered for the violent opposition his conservative policies encountered in the form of the Revolution of Light which lasted roughly throughout his reign. Hathor was the second son of Queen Beatrix I of Arendaal and Prince Thomas of Franken, and younger brother of Edvard IV. 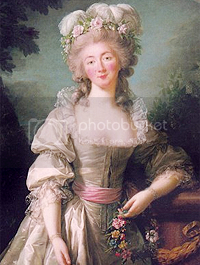 Towards the end of her 8 year reign and following the death of her husband, Queen Helene I was increasingly alienating politicians and the nobility alike with her rash behaviour. 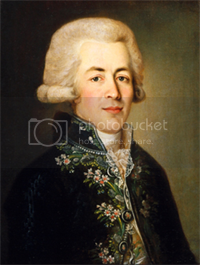 When his niece Helene openly had affairs and bore two illegitimate children, she tried to grant them the success- ion. Her Council called for her abdication and the Hathor III, as her uncle and next in line to the throne, agreed to be crowned King. While Helene was visiting Lulea in the autumn of 1790, her power was usurped and Hathor was crowned in her stead. 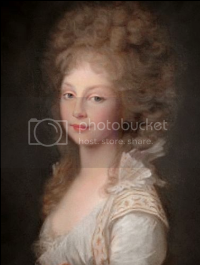 He had her placed under house arrest at Lulea Palace, where she died in 1791 giving birth to her second child. Her death and Hathor's later unpopularity triggered rumours that Helene had been murdered. Hathor III was conservative in his outlook, believing in the unchallenged rights of the nobility and opposed to the power of Parliament or of popular representation. His attitudes have been exaggerated in popular memory, and thus he was been quite wrongly depicted as a despotic tyrant. In fact, while being less friendly to Enlightenment ideals than his predecessors, Hathor's style of rule did not particularly differ from theirs. 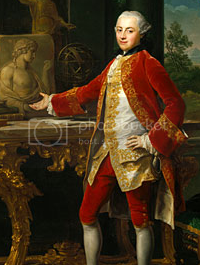 The opposition he faced had as much to do with popular discontent with archaic political, military and economic practices which had not been effectively dealt with since the 1770s, as with his own actions. His views made him unpopular with liberals, who happily vilified him. In November 1790, Hathor III dissolved parliament, sparking a mass uprising against his rule. 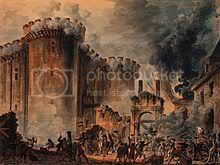 Though initial violent outbursts were quickly suppressed, the ten years of his reign were marked by turmoil: the "Revolution of Light" was sometimes peaceful and sporadically violent before turning to open revolt between 1799 and 1800. The Revolution was led by various politicians, including Hathor's nephew Karl V (at the time Karl was second in line to the throne, after Hathor's own son Crown Prince Rurik, who died in 1799). The larger and more moderate Revolutionary faction headed by Karl aimed to establish Arendaal as a Parliamentary Democracy with limited suffrage (for those of over a certain income level) and rights for all Aren peoples equally. In 1800, after a year of open warfare, the forces of Karl and his allies defeated those Hathor. Hathor III abdicated and was allowed to remain in residence at the Loire Chateau, where he died two years later. Because of his conservative manner and the success of his political opponents, Hathor III is largely remembered in a negative light by students of Aren history. In terms of his personality, however, historians caution that he cannot be dubbed malicious: although at times he acted rashly, he was convinced of his correctness and determined to prevent what he saw as "anarchy". 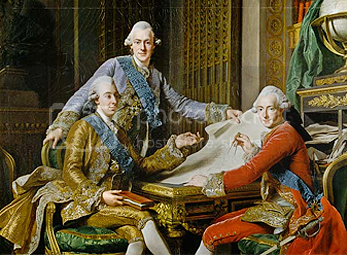 He was very close to his siblings, notably to his brothers King Edvard IV and Prince Trigve (Karl V's father). In their youth he was very fond of both his nephew Karl and his niece Helene I, though he came to vehemently disapprove of her later conduct. 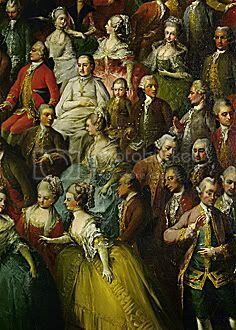 However, it is a testament to his character that he ensured that her illegitimate children were well cared for in his own household, given large estates (Helene's son was later created the Duke of Svealand and her daughter the Countess of Goteborg by Karl V). Hathor III's marriage to Elisabeth of Lorraine was a successful one, and the couple were united in their devotion to their only son, Rurik. 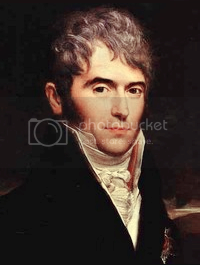 They were both deeply effected by Prince Rurik's death of tuberculosis in 1799. Elisabeth maintained friendly correspondence with his nephew King Karl V before, during and long after her husband's reign.